Drivers of the newest version of the Ford Ranger T6, using the 3.2L 200PS engine, can go further and faster with the latest addition to the Superchips portfolio. The global engine remap leader has introduced the conversion that adds significant power and torque to the already well-endowed urban commercial vehicle. From the factory, the Ford Ranger engine develops 200PS and 470Nm torque. The Superchips conversion increases these figures by 36bhp at 3798rpm and 89Nm at 2079rpm. The car’s power curve is extended and lifted to provide improved performance while the huge torque increase across the rev range delivers a significant increase in driveability, both on-road and off. In addition to enjoying improved performance and driveability, owners can also expect to see gains of up to 7% in fuel economy, compared with a like-for-like driving style. The conversion can be applied either by one of Superchips’ nationwide dealer network or by the owner themselves. The cost of the conversion carried out by a dealer is £365 including labour and VAT. The remap can also be performed by the owner themselves, using Superchips’ Bluefin device. However, the vehicle’s ECU must be Bluefin-enabled before this process can take place, which involves a Superchips dealer removing the ECU. This process should not detectable by service agents and the Bluefin conversion costs £399 including VAT, while the Bluefin-enabling typically costs £60 including VAT, although regional variations may apply. Contact your nearest Superchips Fitting Centre using the website listing (http://bit.ly/SC-RangerFL) for more information. With a Bluefin, users don’t need any mechanical or technical skills – the remap is quickly and easily installed from the comfort of the driving seat. Simply plug the Bluefin handset into the diagnostic port (connecting to the vehicle’s Electronic Control Unit) and the Bluefin then uploads new settings to enhance the vehicle’s performance. Owners and drivers of models from the VAG ranges using the diminutive 1.2-litre turbodiesel engine, the 1.2TDI, can now enjoy additional performance and potentially, fuel economy thanks to the latest addition to the range of ECU conversions from global leader, Superchips. The engine is used in several of the VAG manufacturer ranges; the Volkswagen Polo, the Skoda Roomster and Fabia and the SEAT Ibiza. Giving 75PS from the factory, the Superchips conversion increases power by 14bhp at 3068rpm and torque by a very healthy 37Nm at 2673rpm. The curves from the Superchips conversion follow those of the original engine perfectly but are shifted upwards, meaning the power delivery of the original engine will be unchanged – the driver will simply have more power and torque available to improve performance and in-gear driveability. In addition, they can expect to enjoy gains of up to 7% in fuel economy, when compared with a similar pre-conversion driving style. The conversion uses Superchips’ EPC device which, when fitted to the vehicle, optimises engine fuel, ignition and turbo boost settings. The device can be fitted by the owner and is supplied with the necessary wiring harness and full-colour instructions. Alternatively, it can be fitted by one of Superchips’ nationwide dealers and the price of both the DIY and dealer-fit conversion is £449, including labour and VAT. The conversion is covered by Superchips’ no-quibble seven-day money back guarantee and the device itself is also covered by Superchips’ four-year product warranty*. 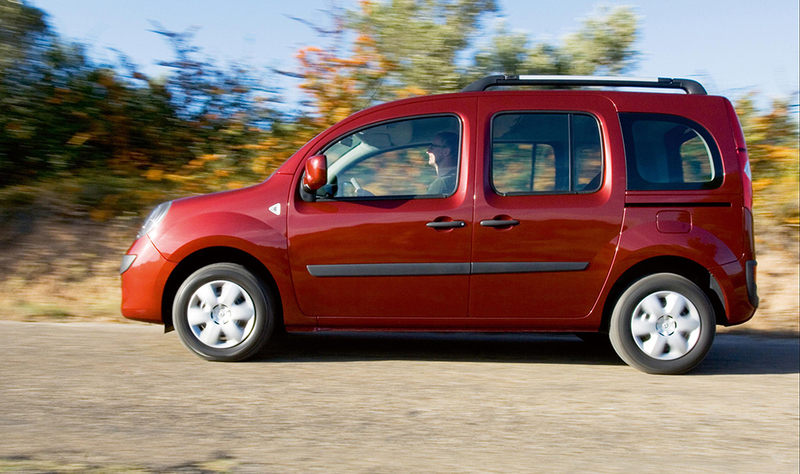 Drivers and fleet operators using the Renault Kangoo light commercial van can now enjoy improved performance, driveability and potentially, fuel economy, thanks to the latest addition to the range of ECU remaps from global leader, Superchips. 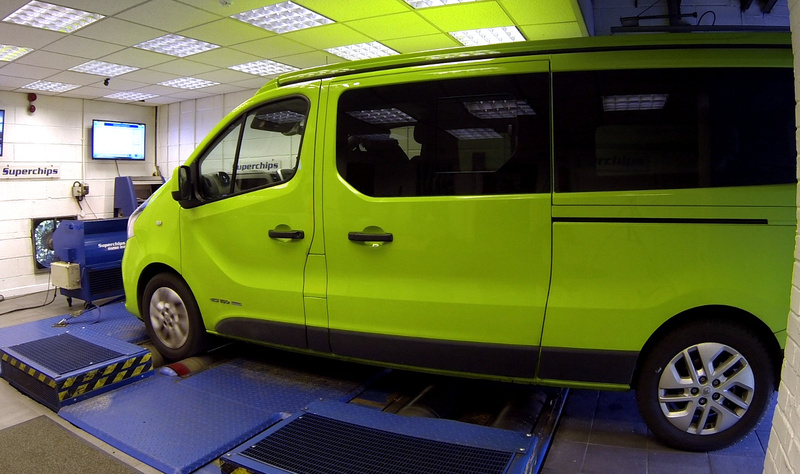 The company recently launched a range of remaps for the larger Renault Trafic but now, the smaller Kangoo van, using the 90PS, 1.5-litre turbodiesel engine, can work harder for less. The Superchips remap adds an excellent 18bhp at 3425rpm and an even more impressive 37Nm torque at the same engine speed. The shape of the power and torque curves shows that the driveability of the small van will be improved dramatically, with a huge amount of additional torque available throughout the engine’s mid-range operating speed – exactly where a commercial vehicle needs it to haul loads. In addition to the gains in performance and driveability, operators can also expect to see improvements in fuel economy of up to 7% when compared with a pre-conversion driving style. 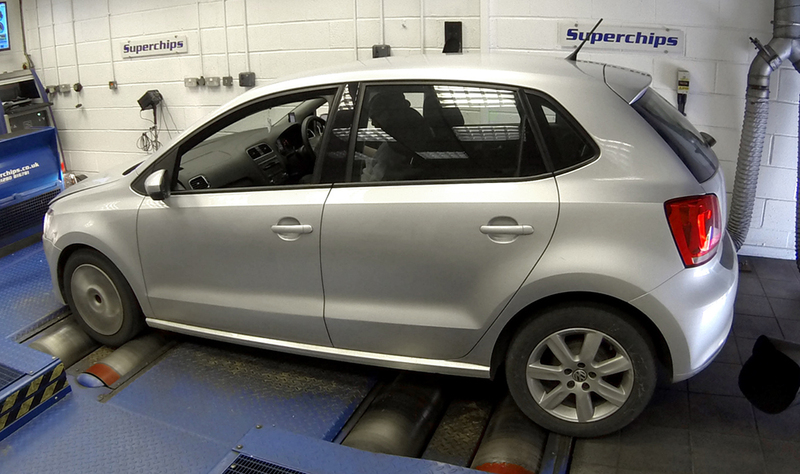 The remap can be carried out by owner themselves, using Superchips’ Bluefin device, at a cost of £359 including VAT. Alternatively, it can be performed by one of Superchips’ highly skilled nationwide dealers, at a cost of £320 including labour and VAT. This typically takes less than an hour, since the process is carried out using the vehicle’s OBDII (On Board Diagnostics) port. Customers can either wait at the dealer or drop off their car and return later to collect. 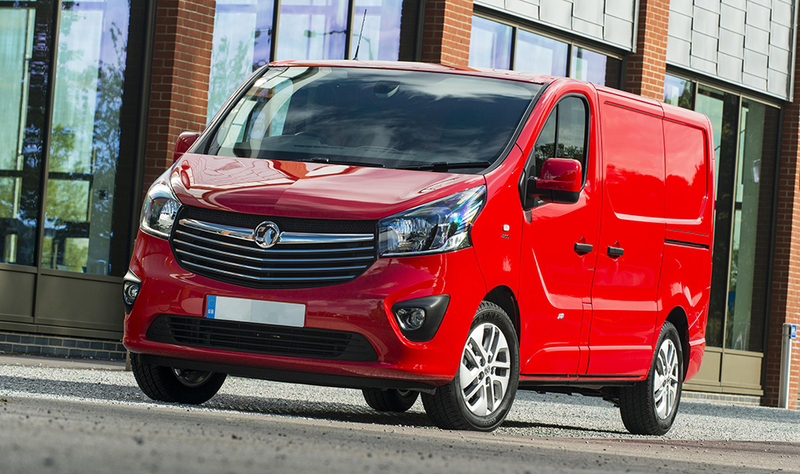 Following the release of its remap for the Vauxhall Vivaro/Renault Trafic 1.6CDTi/dCi 120PS models in February, world ECU remap leader Superchips has now introduced a conversion for the more powerful cousin, using the 140PS version of the same engine. 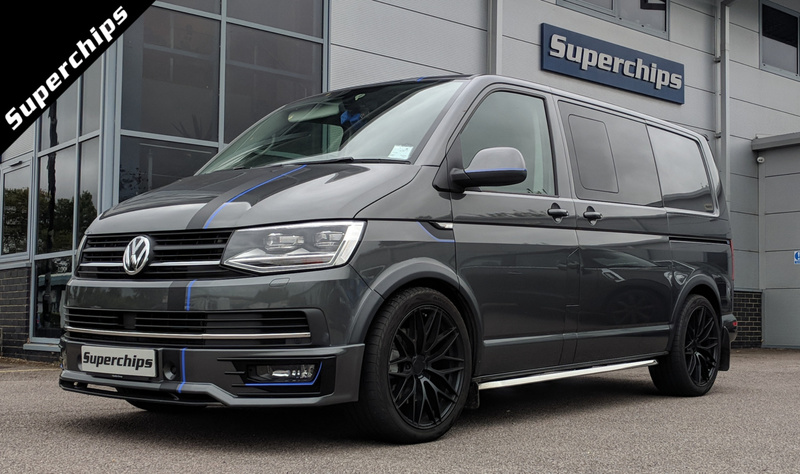 Running on Bosch management, the bi-turbo diesel engine leaves the factory with 140PS but the Superchips remap adds significantly to both power and torque. Power increases by 21bhp at 4075rpm while torque – arguably more beneficial for a light commercial vehicle – grows by an even more impressive 42Nm at 2057rpm. Owners and drivers of Ford models fitted with the latest version of the Duratorq turbodiesel engine and the marque’s double-clutch automatic transmission, the Powershift, can now enjoy improved performance and potentially, fuel economy, thanks a new ECU remap from global leader Superchips. 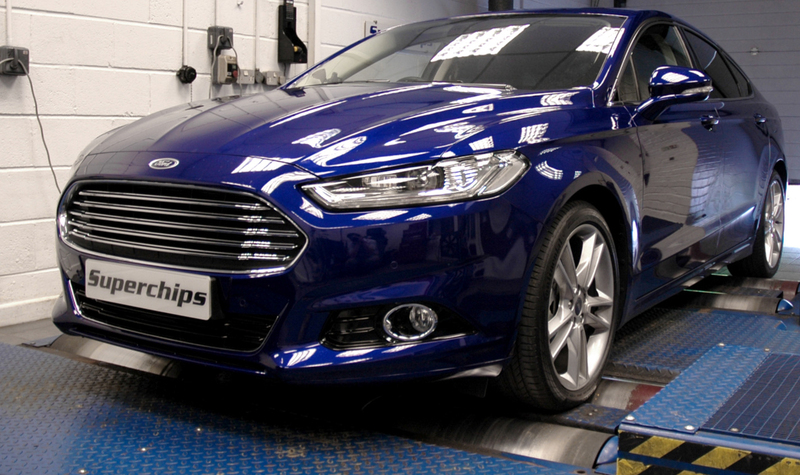 The 210PS version of the engine, fitted to the Galaxy, S-Max, Mondeo and Edge ranges and using Delphi management, can now see its output increase by 33bhp at 4079rpm and a significant 82Nm torque at 1723rpm, thanks to the latest Superchips remap. Not only does power and torque increase significantly, the way in which they are delivered also improves. The torque curve, for example, is flatter and the Superchips conversion eliminates a large dip in the curve as the engine approaches the mid-range. In addition to the improvements in performance, drivers can also expect to see gains of up to 7% in fuel economy with the remap, compared with a similar pre-conversion driving style. The conversion can be carried out by owner themselves, using Superchips’ Bluefin device, at a cost of £399 including VAT.